Family has a trip planned to Paris early part of this summer. I've been to Paris before, rest of my family hasn't. Need some advice. These Saturday protests in Paris are starting to get me worried. We were going to rent an Airbnb in Paris (cost & more real experience), but now I'm wondering if I look at hotels for the mere safety factor of security, if protests continue to worsen. I know they're only Saturday protests, but they are on 18 in a row and seemingly worsening (US point of view perspective). I do not want to cancel my Paris leg of the trip. I like Paris and want my teenage kids to experience France. Suggestions welcome. Is there an area you guys would recommend we stay - away from the protests? Planning to do Louve, Eiffel tower, Notre Dame and Normandy Beach (and lastly, yes Euro Disney). Don't stay near the Champs-Elysées on saturday, that's all. These are mainly leftwing troublemakers presently, they even come from Belgium and Germany for the show, not very numerous though. It's like everything, it's way overemphasized on the news. For instance they were supposed to demonstrate in Nantes on saturday but I had to attend a tournament in the center. I played and didn't even notice anything around. For a place to stay, I am not a Parisian, but I would advise places like Montmartre or the Jardin du Luxembourg. We stayed in an Airbnb in Chaillot a couple of years ago that was pretty inexpensive. You had to walk a little bit to get in the thick of things, but it was still very close and we always felt safe. You said it all. Nothing to be afraid of. If you’ve been to one in the US, you’ll find the same stuff. You won't have anything to fear in Normandy, although I would do Brittany instead. Pretty sure that Americans would want to see Omaha Beach over Brittany. I was there on June 6th twenty years ago and the smoke from the twenty-one cannon salute wafting gently past the rows of white crosses while two buglers played echo taps (one by the field of crosses and the other answering from beyond the tree line) made for one of the most chilling memories in my entire lifetime. 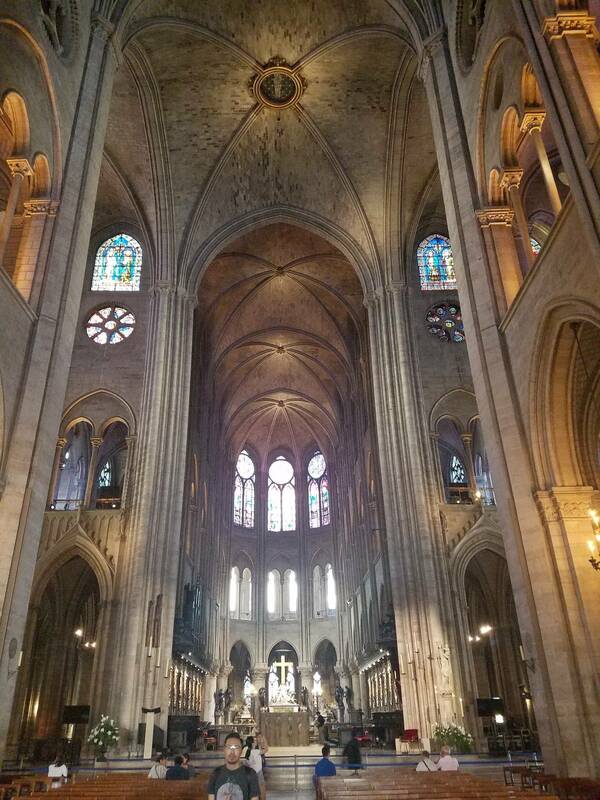 I travel a lot and Paris is one of my favorite stops. I agree you should skip Euro Disney. There is a ton of stuff to do in Paris that is unique to the city. I would recommend the Catacombs tour. Can't really do that anywhere else. I read the same thing time and again regarding Euro Disney. We did the city pass for Paris. You can easily spend more than 1 day in the Louvre and with the city pass you can come back another day. Catacombs was cool, but show up early or you are going to be waiting in a long line. Good tips guys. Opening this thread up to other things to do while in Paris. Any favorite restaurants? Is the moulin rouge worth it? I'd grab a Rick Steve's guidebook. Very nice to have a book to reference when cell and wifi are spotty. There is a pretty inexpensive cafe near the Louvre believe it or not (it's referenced in the book). There's a market near the Catacombs that was really good too (lot's of Turkish vendors). These Saturday protests in Paris are starting to get me worried. We were going to rent an Airbnb in Paris (cost &amp; more real experience), but now I'm wondering if I look at hotels for the mere safety factor of security, if protests continue to worsen. I know they're only Saturday protests, but they are on 18 in a row and seemingly worsening (US point of view perspective). Will you be there in July, for the Tour? If so, would be nice to visit a small town nearby where the race was finishing that day. Quoted from badbilly27:Good tips guys. Opening this thread up to other things to do while in Paris. Any favorite restaurants? Is the moulin rouge worth it? The Moulin Rouge is a great time but not cheap and not something you want to take kids to. I think 2 tickets with the champagne is 300 euros. There is an EM museum that sometimes offers private viewings. Pretty amazing collection with focus on 60s wedge heads. Paris Pinball Museum is a must! Yeah the Catacombs are great ! Just take a look at Paris on the pinside map. Can you see that empty area in the West with absolutely no pinballs? That is where the demonstrations take place. A must stop for any pinhead. They only have a facebook page. Must email Now, and arrange appointment. There is close to 300 pins. Last time I went to Paris Pinball Museum a year ago or so ( I live 15 minutes from it ) it had to be booked in advance a day or two before by phone..
Raphael Lankar's babies ( an amazing and unique collection of 300 oldies from the 30's to the 60's mainly ) will be in an exceptional shape and all playable. The guy tells you anything and everything about every machine and details few people nowadays know really about..
Don't do the Moulin Rouge, too kitch. 1/ The George: It is at the Pompidou Center. The BEST view of Paris if you are seated outside weather permits. Have lunch there, so you can have whole Paris to admire. And don't miss the contemporary art section at the Pompidou center. 2/ Saint Germain: Have a drink at Les Deux Magots. These are very touristic choices but have such a huge past/history. Look at these places websites. 1. Identified Le Marais in Paris as a strong contender for renting an AirBnB (will scan for video cameras ) Interested in thoughts. 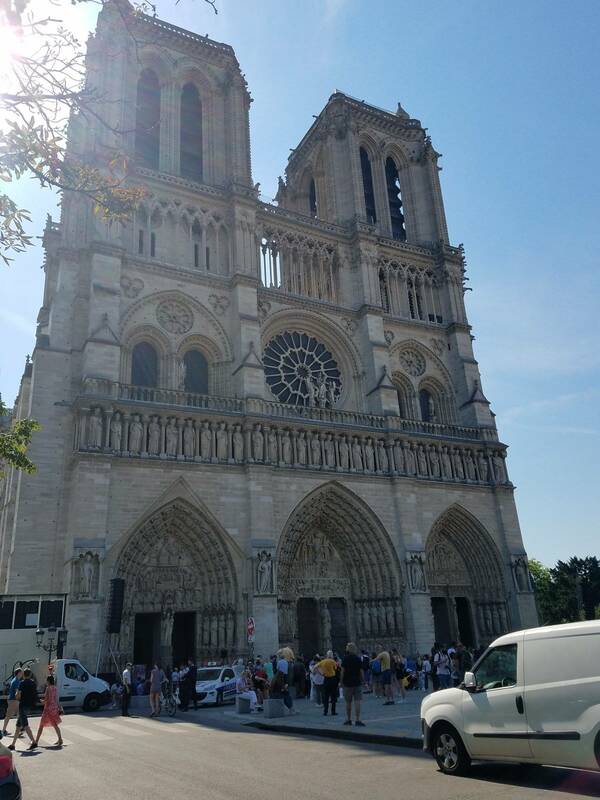 Was told by friend very safe area, many restaurants, .5 miles to Norte Dame, LGBT & Jewish area. Still debating hotel but prefer little more room. 2. Looking into Normandy beach but Saturday is day we're trying to go. So many awesome local tour guides with deep knowledge but don't support transportation from Paris and don't do weekends. Reason shared: Train schedule or something like that. Still trying, may do big tour company for bus ride but will lose local experts. 3. Tried talking family out of Euro Disney but over ruled. They want to go and check it off their lists. Looking for local recommendations for good restaurants. I'm a bit of a foodie and also want to expose my teenage daughters to real experience. My business trips in Paris never allow for much exploration and dinners are always pre-arranged by business partners. I never kept a log of where they took us. Thanks. Doing research on Jardin du Luxembourg stay choices. I would recommend the Catacombs tour. Can't really do that anywhere else. Great call. I totally forgot about this being in Paris. Added to list. Solid recommendations. Picking up the book to review. Will you be there in July, for the Tour? In terms of what we did in Paris, you will be in the thick of it. That should be a very good location. Sometimes, the best way to discover a city is to get lost in the small streets and avoid main touristic places. Get a travel book, go to the paris office web site to get ideas, dicover and transportation passes. Have a café and croissant in a typical bistrot the morning, discover small parisians restaurants by yourself. And if you have time, here are few more ideas to visit: musee du Louvre, musee d'orsay, opera garnier and chateau de versailles...( great experiences). Welcome for your coming in France. Paris is like the big apple in the US... It's not really representing the rest of the country... Nevertheless, you may have fun there... Lot of theater there. Sacré Coeur is a must to see, like the old Paris. PM me when in Paris - I now live again close to the City of Light (when not travelling to China). Don't worry about protests - you may have to ask for the location of Saturday afternoon demonstrations, but there are only a few places to avoid for a few hours. 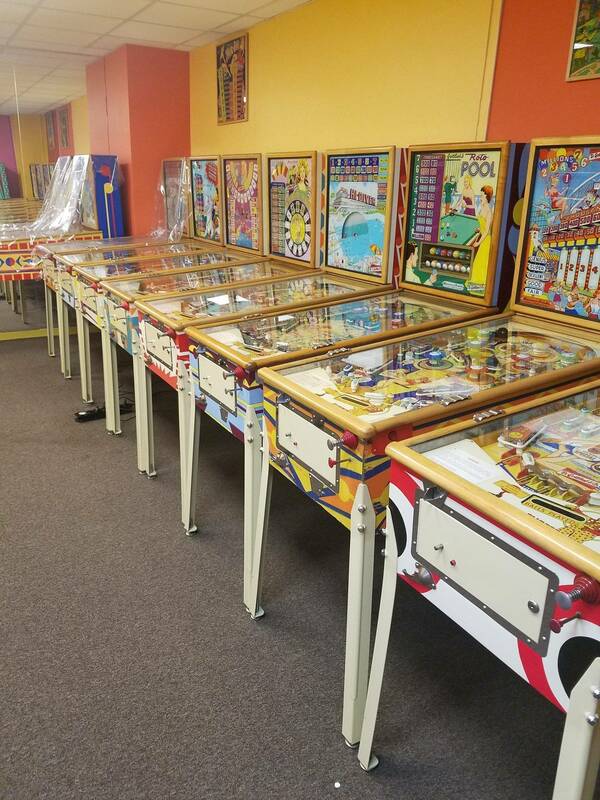 Raphael Lankar Pinball museum is not far away (and worth a visit, but you must plan and ask in advance). NB: I had a wonderful AirB&B experience in Paris center a few years ago when I was living far away. An nice apartment with a spectacular view on Notre Dame... But can't find it online anymore!? Food... there are superb restaurants but pricey. Depends on your budget (and time you want to allocate to eating - this is a serious business here!). But do not buy those expensive lithographs! There is retail, and High end retail pricing, doesnt mean your getting a better product by paying more. Also, do not buy art on Cruise Ships. The buying art thing because its a whim purchase on vacation is always a bad investment. Plenty of Good, Real Dali on internet. Always do your research before buying art. Reason shared: Train schedule or something like that. France is not a public transportation country. You will never reach the beaches by train and bus. You better rent a car in Paris and drive there (just need your mobile phone or a GPS). Maybe consider taking the car the day before to depart early in the morning - it's about 2.5h drive depending where you go. Colleville Cemetery, Pegasus Brigde, Arromanches and Omaha are a good start. Caen Memorial Museum is a must for history information (but if you choose to go there it will be at least a 2 days trip). No need for tour guide - it's mostly sightseeing. Should you really want information you can probably found a good guide book in USA before to leave. Whaaaaaaaaat ?!? Did you see that on Fox News ? Yes, you can actually go to Deauville by train and enjoy the city by the sea. But to see Arromanches, Omaha Beach, Colleville cemetery, etc you would probably need a car or find a guided tour? Another silly idea: go to Bordeaux by train (2h04 best travel time), spend two days in the city, have lunch (*) in a one star Michelin restaurant (Le Pavillon des Boulevard, or by taxi to le Saint-James in Bouliac) then visit the city and perhaps La cité du vin. Find a guided tour of the vineyards for the next day by bus. Visiting Saint Emilion would have my preference. Basically you can have Lunch in a gourmet restaurant (with their "savoir-faire" / "savoir-vivre") for what you would pay for dinner in a regular (and often mediocre) restaurant. I too will advocate for the pinball museum in Paris, seriously awesome! I must have gotten lucky, I did not realize that you had to make appointments beforehand and called the morning before I wanted to go. Raphael was very awesome and accommodating! There was only 2 solid state games when I went, both Monster Bash. Other than that, Museum D' Orsey was my favorite place I visited out of the 2 times I have gone. My wife and I really enjoyed this bike tour with a large group seeing the sights without the hassle of checking a map. Heading to Paris in early June with my family so thanks for all of the recommendations. It’s been 12 years since my wife and I last went and the first for my 8 year old. My heart is sad. Im in shock. What a shame! I hope they got everyone out. Terrible to see that on the news here. My heart broke seeing the ceiling collapse. Just terrible. Sainte-Chapelle is near Notre Dame. Beautiful stained glass windows.